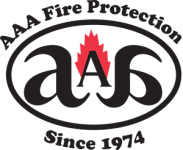 AAA Fire Protection Services is a family-owned business that helps businesses design and install fire sprinkler systems. We work with Vallejo businesses and businesses throughout the North Bay Area to help improve safety during a fire and to reduce the risk of fire. Our fire sprinkler installation services include comprehensive fire sprinkler services such as fire sprinklers inspections and fire sprinkler repairs. In addition, we test fire sprinkler systems to ensure they’re working. When we find deficiencies we repair them. Along the way, we collect data and provide documentation so your business is always in compliance with fire safety regulations. AAA Fire Protection Services is your Vallejo Fire Sprinkler expert. We not only have 40 years of experience working with fire suppression and fire protection we are a team of experts. Our process is simple to use and we can work with your design team for new builds. For renovations, we can work with your architect or with you. Our goal is always to provide the most efficiently design fire sprinkler systems so your business is always protected. To get started, just give us a call at (800) 543-5556.